Six-star quality: The Grand Library at the lobby. CHANGING strategy midway can be a gamble, but for Gamuda Land, its maiden Australian venture – 661 Chapel St in Melbourne – has paid off handsomely. To date, the project has already achieved a 70% take-up rate. 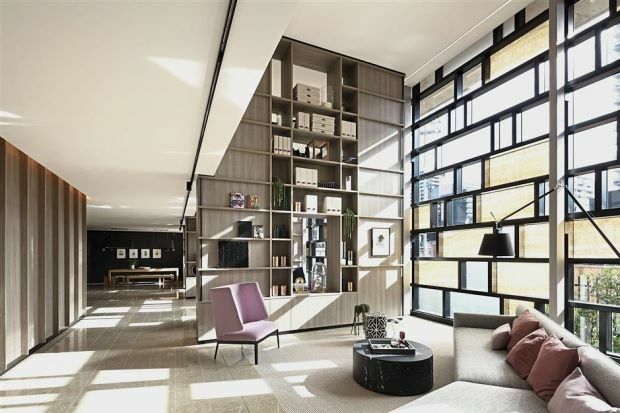 Chief executive officer Ngan Chee Meng said the group decided to amalgamate the number of units for 661 Chapel St in South Yarra amid a slowing property market. At that time, the developer was about to launch the project when the Australian government implemented cooling measures affecting foreign investors. 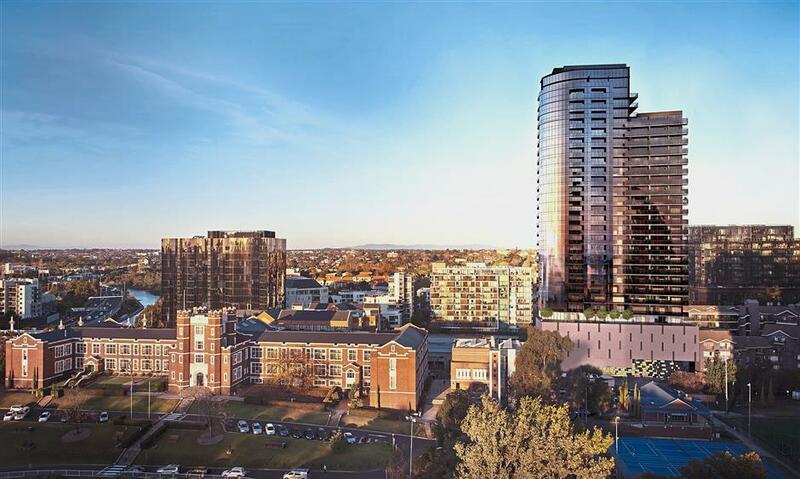 “We had initially planned over 200 units, but now, it’s 116 units,” Ngan said, adding that the group was also targeting to sell to Australian owner-occupiers. “We expect take-up from owner-occupiers to increase now that the development is completed, and people can see the actual product, quality finishing and delivery, for themselves,” he said. He is hopeful that the project will achieve 100% take-up within the next six to 12 months. Air of luxury: Community gathering place — the lounge at level 6. Construction on the project began ahead of the market launch, an unusual move as developers generally would only commence when they achieve a 70% take-up rate. 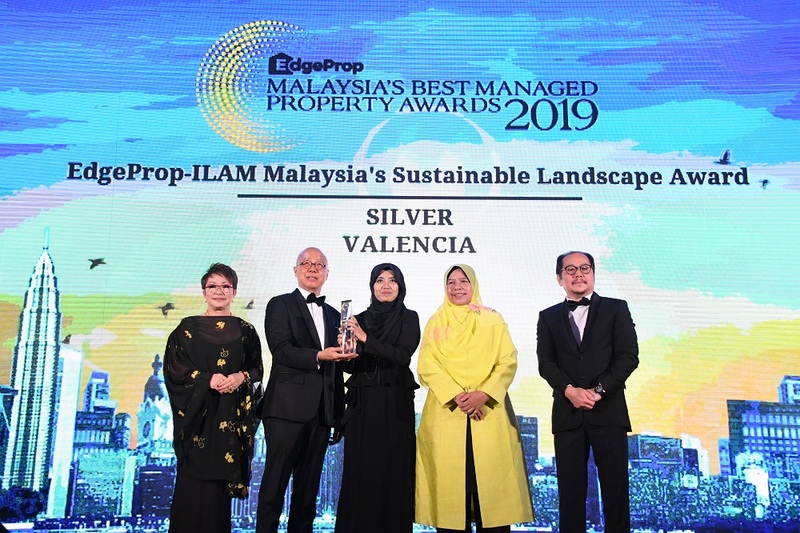 However, with the backing of parent company Gamuda Bhd and its strong balance sheet, the deve­loper managed to push ahead with the construction without waiting for a pre-sale target. Buyers could then view the product prior to purchase, assuring homeowners of product delivery while showcasing its quality at the same time. The project was completed in April this year, ahead of schedule. “The decision to start building early has helped Gamuda Land, a relatively unknown player in this market, to establish its credentials,” Ngan said. He said the project affirmed its good branding and signalled to its customers to have confidence in the company and the project. The unique selling point of 661 Chapel St is its stunning view of the city and river which cannot be artificially replicated, as it fronts the heritage-listed Melbourne High School. This means the school is unlikely to be redeveloped, and property owners can be assured the Melbourne city view will remain unobstructed. Located in a upmarket address in Melbourne, just 200m from the famed Yarra River, Chapel St is the centre of Melbourne’s premier fashion, food and arts destination. “The personality of Chapel Street is channelled into the design of 661 Chapel St so the community will feel at home when they enter our development,” said Ngan. 661 Chapel St boasts a distinctive residential tower that exudes six-star hotel quality in its ambience, space and amenities. Even as you enter the property, an air of luxury and indulgence is apparent. The main atrium is a four-storey lobby with onyx and glass picture windows looking out to the gardens, and features a grand crystal chandelier. The lobby itself is akin to a gallery, packed with artworks by renowned artists. Hanging on one wall is a one-of-a-kind intricately sculptured glass Lalique art piece. There is also the Porte-Cochere, a grand signature drop off area about 24.5m from Chapel St, displaying the 661 signage designed by reputable sculptor Matthew Haarding. Owning a home at 661 Chapel St is clearly considered a benchmark. Each house has been carefully crafted for comfort, sophistication and design excellence through the clever use of materials, finishes and textures. The project includes an exclusive duplex penthouse with a private rooftop. Ngan said there were ongoing discussions with potential buyers for the bespoke penthouse, which reportedly costs A$22mil (RM66.6mil). 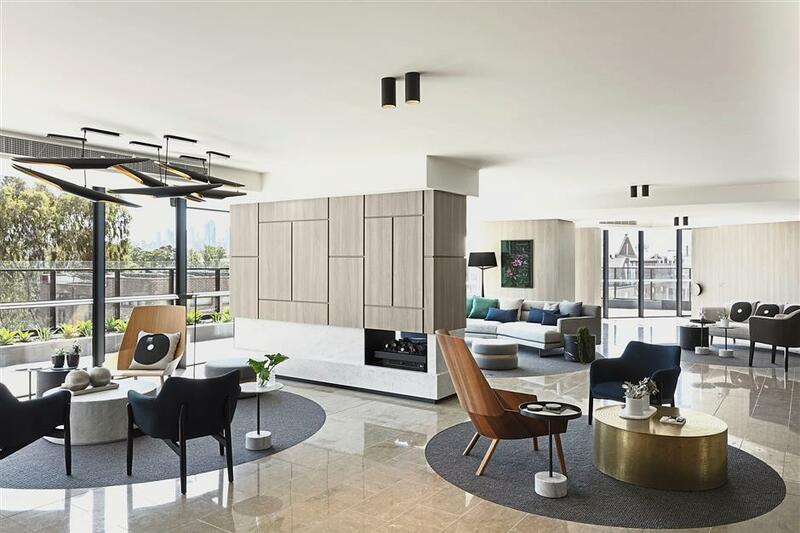 The price tag includes the servi­ces of renowned interior designer David Hicks and access to “the highest quality fittings available” that would enable the purchaser to create a personalised dream home. Sold as a shell unit, the penthouse can be completely customised. As a developer, Gamuda Land firmly believes in creating places where the neighbours can get to know one another, live and play together, and ultimately, look out for each other. As such, 661 Chapel St boasts of ample “gathering” places for the community, a feature uncommon in Australia’s high-rise developments. Among the highlights of the property will be a 25m pool cantilevered over the covered drop-off area on the sixth floor. The grand library will feature a book cabinet that soars up to the ceiling. There’s also a steam room and sauna, several lounges with fireplaces, a fully equipped gym, a 20-seat mini theatre, two private dining rooms, a 2,000-bottle wine cellar and a barbecue area. There will be two sky gardens, one on the 22nd and another on the 27th floor, equipped with barbecue facilities. The Melbourne real estate market is expected to grow exponentially, as evidenced by the city’s low vacancy rate, proving there is a demand for housing in line with the projected population growth, Ngan said. “The demand from local owner-occupiers has been positive for the South Yarra suburb. Similarly, foreign investors who are familiar with this market, also appreciate the Chapel Street location,” he said. “Though legislations are in place to moderate foreign demand, we continue to observe interest from high-end foreign buyers who want long-term investment products. “Despite the change in stamp duty legislations and lending restrictions, foreign investors continue to see Melbourne as a highly sought-after destination, given its long-standing reputation for quality education, political and econo­mic stability, as well as its proximity to Asia,” Ngan said. The Economist named Melbourne the world’s most liveable city for receiving a perfect score for healthcare, education and infrastructure for seven years in a row. Currently, Gamuda Land has 19 developments across 3,369.4ha of land with a total gross development value (GDV) of RM75.1bil. Out of which, the company has an undeveloped landbank of about 1,439.9ha and a GDV balance of RM52.3bil over the next 15 to 20 years as at March 31. Ngan said the overseas market remains an important part of its business plans; 50% of its sales contribution is targeted to come from overseas projects. “We are also doing well in markets like Vietnam and Singapore. We will continue to be present in these markets, with priority in cities where we have already established our presence, namely Ho Chi Minh and Hanoi in Vietnam; Melbourne in Australia; and Singapore. “This allows us to balance out our ringgit versus non-ringgit revenue,” he said. He described Gamuda Land’s maiden development in Melbourne as being a very good experience, adding that the group intends to seek out prospective projects there. “We can’t ask for more. The market situation changed and we adopted a good strategy, a correct one, to cement our reputation here. It has been a very good journey and we will continue to expand our presence here with future developments,” Ngan concluded.